PushApply | The Recruitment System That Has It All! As an HR Manager you know recruiting the best talent is a serious business. How you manage the process will impact the calibre of candidates you attract… as well as your costs and efficiency. Push Apply the game-changing Applicant Tracking System (ATS) will revolutionise the way you attract, select and communicate with candidates from start to finish. Want to know more? Book a demo today! Your business brand is essential when it comes to standing ahead of the rest. Push Apply is fully customisable with your logo, corporate colours and communication style. From your dashboard to your tailor-made application forms, candidate communications and outgoing reporting, Push Apply will revolutionise the way you recruit and present your business at its best. Whether you're out to hire 20 or 10,000 staff members, Push Apply has the perfect solution. This ATS, used by multinationals and government departments, will cut costs and the time you spend on recruitment. Write your welcome copy and create your recruitment questions, collect responses from candidates, and ask them to upload important documents. Keep in touch throughout the process with customised emails to individuals or groups at the push of a button. Your live dashboard will give you the competitive edge. It's your interface throughout the entire recruitment process and because its cloud based, it's accessible any time, and even on your mobile. Use it to track and communicate with candidates, customise it to display graphs and data in real time. Your an also prepare reports for stakeholders at the push of a button. No more waiting for statistics or building manual reports... Push Apply gives you - application numbers, university breakdowns, demographics, diversity targets and more - in an instant. We have regular cyber security audits conducted by a professional third party to ensure safety of your data, and dedicated hosting options available for your piece of mind. Our Security Information Policy is compatible with a variety of regulations and jurisdictions. In addition we have been vetted and are trusted by many large corporations and government departments. Customisable user controls mean you can limit who has access to process your data, helping you to limit accidental data loss, one of the leading causes of data loss in the industry. Detailed logs are also kept of all activity on your account so you can always check who did what and when. Push Apply was founded by HR experts for experts in HR. We understand recruitment and we know it's expensive... attracting, selecting and securing the best is just the beginning. That's why we offer our industry leading Application Tracking System with flexible annual pricing to suit your recruitment needs. 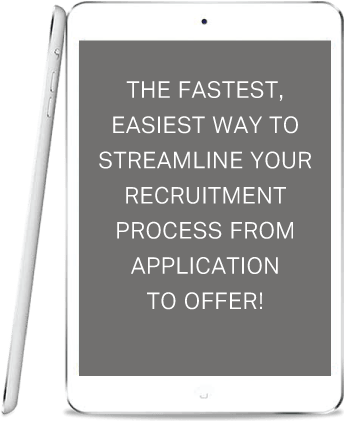 Push Apply is your most efficient way to streamline your recruitment process from application to offer, whether you’re executing regular or occasional recruitment campaigns. Our flexible pricing options mean there’s a package to suit your business and your recruitment objectives, as well as the specific services you need. The low price without the compromise on functionality! As you’d expect, we also offer set up assistance and support. Whether you’re out to hire 20 or 10,000 staff members, Push Apply has the perfect solution. This ATS, used by multinationals and government departments, will cut costs and the time you spend on recruitment.